Dhaka, 24 December, Abnews : The Asian Development Bank (ADB) has sharply augmented support for projects promoting sustainable, inclusive, and environmentally sound growth in Asia and the Pacific, says a new report. Strategy 2020, our long-term strategic framework, recognizes the essential role that environmental sustainability plays in poverty reduction and inclusive growth, and the ADB sustainability report for 2011 and 2012 shows we are making headway on many fronts, said Nessim Ahmad, ADB’s Director for Environment and Safeguards. Asian Development Bank Sustainability Report: Investing in Asia and the Pacific’s Future shows that in 2011-2012, ADB approved projects totaling $43 billion – up 10% from the previous two years – that helped create and expand economic opportunities in the region while taking into account economic, social, and environmental impacts. capacity across the region over 2011 and 2012. In response to the growing climate change threat, in 2012 alone, ADB approved climate-related finance of $3.4 billion while transport investments, including low-carbon projects, in 2012 totaled nearly $4 billion. Meanwhile substantial support was given to help urban centers become greener and more sustainable, including a $600 million package of projects for secondary sized cities in the People’s Republic of China. At the corporate level, ADB promoted sustainability by further reducing the per person use of water, electricity, and paper, and the waste generated at its headquarters, where 77% of its staff work. Staff contributed individually to community development projects that benefit thousands of disadvantaged people in Metro Manila. 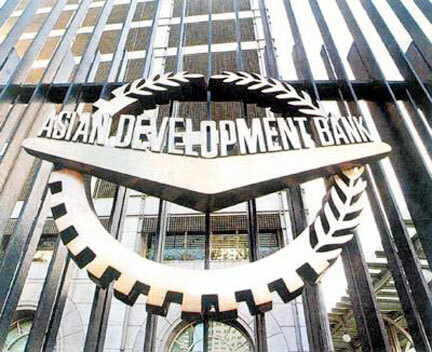 ADB has issued a sustainability report every two years since 2007, containing highlights of its operations. It provides an essential tool for stakeholders to assess ADB’s performance in promoting sustainable development and meeting the goals of Strategy 2020.